Did you come from the story on using manures in the garden? Click here to return. All books and downloadable materials are ORIGINAL, digital and downloadable! Simply add items to your shopping cart. Once the transaction is complete, you will be able to download from a special web page immediately. If you click away from the website too soon and don’t look at the online confirmation no problem! There will be two emails in your inbox (check spam folders just in case). The first is a purchase receipt and the second email contains a thank you message with a download link to save the PDF to your computer. Transactions are handled by PayPal using their secure systems! Use your PayPal account or purchase with a major credit card through PayPal. Everything you need to know to compost with red wiggler worms in a 2-page quick reference guide! This is our family’s go-to resource for using worms to make great compost. Worm casting are expensive. Make your own! We keep our worm bins in the garage – they survive in cold and heat. 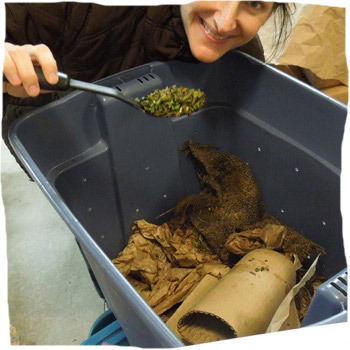 Learn the steps to create your own worm bin and tips for success. You will use this guide for years to come. 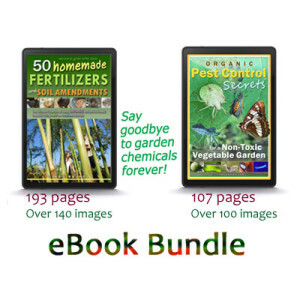 This is the ultimate collection of EASY, ORGANIC recipes for EDIBLE GARDENS using FREE and recycled materials. There is no other reference out there that covers as many materials and techniques under one cover. More than 140 original images! 193 pages in .pdf format and 239 pages in eReader format at Amazon. Click on the button below to purchase the easy-to-read .pdf version. You’ll get an instant download link in a confirmation web page and also an email message containing the link. Want to read more about this eBook first? Click on the image to get more information. Get up close and personal with many amazing insects and animals found in your garden. Find out what makes the worst garden enemies so special. Take a break from technical bug guides and have fun observing what lives in your soil, breeds on the backsides of leaves and secretly preys upon the most destructive garden pests. 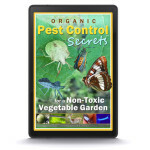 Learn the best natural defense techniques for keeping pests at bay without chemicals or even homemade pepper sprays. More than 100 original images! 107 pages in .pdf format and 131 pages in eReader format at Amazon. Click on the button below to purchase the easy-to-read .pdf version. You’ll get an instant download link in a confirmation web page and also an email message containing the link. Get both eBooks for a reduced price. This Bundle is not available on Amazon. It is only available in .pdf format here on this website. Click on the button below to purchase the easy-to-read .pdf versions. You’ll get instant download links in a confirmation web page and also an email message containing the links. Want to read more about this eBook Bundle first? Click on the image to get more information. 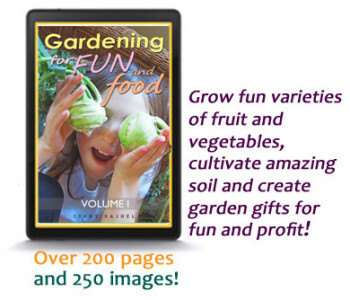 This eBook has so many fun gardening projects under one cover, people tell us we would make more money if we broke it up into three eBooks instead of one! For now, it will stay this way, full of exciting new experiments, proven techniques and different vegetables and fruit you probably have never tried before but are EASY TO GROW! More than 250 original images and 200 pages. Also find it in eReader format at Amazon. Click on the button below to purchase the easy-to-read .pdf version. You’ll get an instant download link in a confirmation web page and also an email message containing the link. 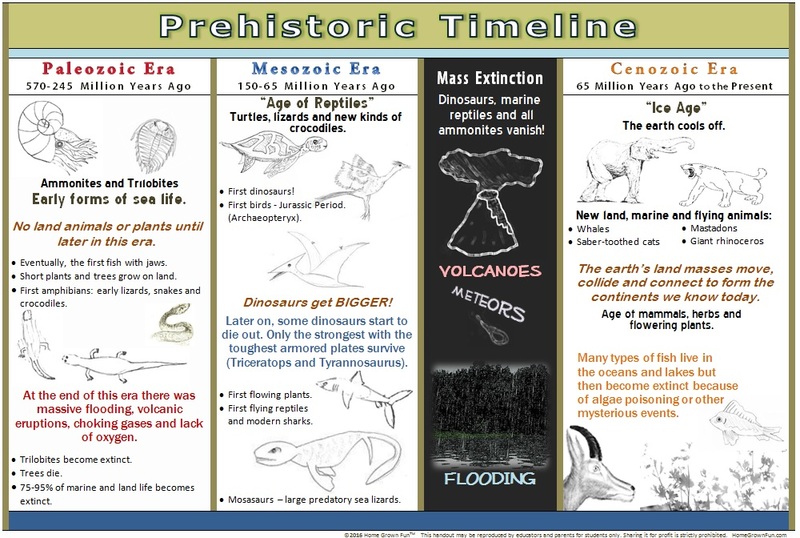 This timeline is the perfect handout to accompany our fossil making activity! 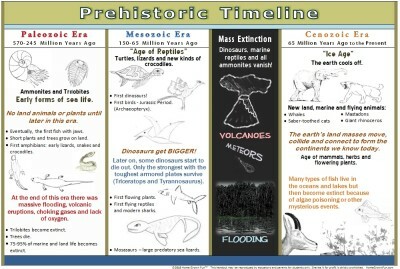 It prints on an 8.5 x 11 piece of paper and helps students to understand how fossils, wildlife and dinosaurs fit into the earth’s events dating back almost 600 million years ago. 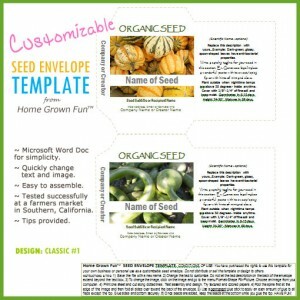 Customize your own seed packets! Use our easy to use template. Make it fun and get creative! Want to read more about the seed envelope? Click on the image to get more information. Or add to your cart now. 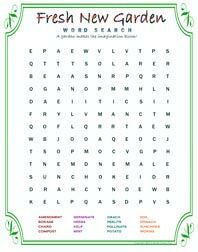 Download and print our newest word search puzzle. 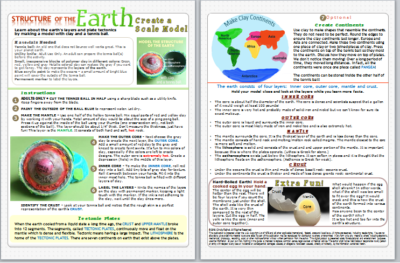 Learn about the structure of the earth with this fun project using clay and a tennis ball! Click on the button below to purchase the easy-to-read .pdf version. You’ll get an instant download link in a confirmation web page and also an email message containing the link. Want to read more about the project before downloading? Click on the image to get more information.